We all wish that we could take classes at Hogwarts with Harry Potter or get the chance to dance with a real Disney prince or princess in their castle. While none of that, sadly, is possible, there are several real sites throughout the world that were either used directly in one of our favorite films or used as a basis for an animated film. Every kid who has grown up with the Harry Potter book series has dreamed about getting that fated letter and going to Hogwarts. While there are no classes or wand-waving at Alnwick Castle, it is the location where the first two Harry Potter movies—The Sorcerer’s Stone and The Chamber of Secrets—were filmed. Visitors may recognize Alnwick Castle’s courtyard as the field where the famous first flying lesson takes place. 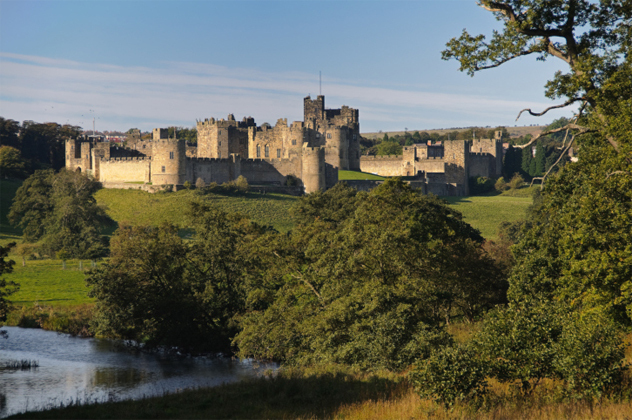 Alnwick Castle has also played a major role throughout history—it was one of the most important locations in the infamous War of the Roses between the houses of York and Lancaster. Specifically, it was one of three major castles that Queen Margaret (who was supported by the Lancastrians) managed to recapture after her husband Henry was forced from his throne by the Yorkists. 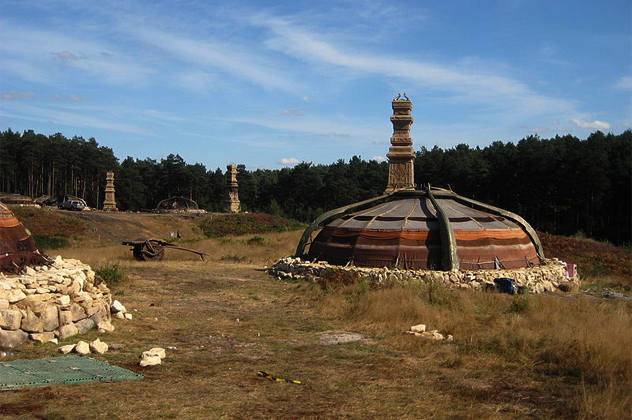 Bourne Wood is one of the most iconic areas for filming, and dozens of movies have used this forest for their scenes. Not only is it where the opening battle scene for the famous movie Gladiator was filmed, it was also used in movies such as The Golden Compass, Harry Potter And The Half Blood Prince, Harry Potter And The Deathly Hallows, and Captain America. Besides its prestige in the film industry, Bourne Wood is also an important area environmentally—it’s home to several rare animal species. Conservationists have raised serious concerns about the risks the movie industry poses to the forest and its inhabitants, especially the explosions and other loud noises that disrupt not only the animals, but also the people living around the woods. Recently, limitations have been proposed to only allow filming to take place six months out of the year, and night filming has been limited to seven days per year. When the movie Monty Python and the Holy Grail was shot, this castle was used for not one, but several different castles throughout the story, from the location of the infamous wedding scene to the lair of the man-eating rabbit. Doune Castle has also had a variety of uses throughout history, from a royal retreat used by figures such as Mary Queen Of Scots to a literal prison used to house dissenters against the throne. It also served as a garrison used by the Scottish army against Oliver Cromwell. However, the castle was not always an effective prison, and there are accounts of enemy soldiers escaping by tying together bedsheets and simply climbing out the window. This makes the scene with Lancelot and the effeminate prince who attempts to escape out the window even more hilarious. 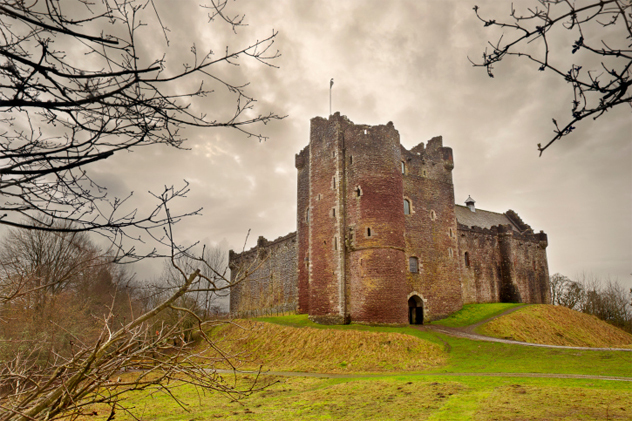 Today, Doune Castle is under the highest level of protection for heritage buildings in Scotland. Recently, superhero movies have become a lot darker and grittier than they used to be—just check out The Amazing Spiderman and Man of Steel for examples. However, there is one superhero that’s always been the dark horse of the comic world. Batman is not only one of the coolest superheroes out there, he also has one of the coolest bases. 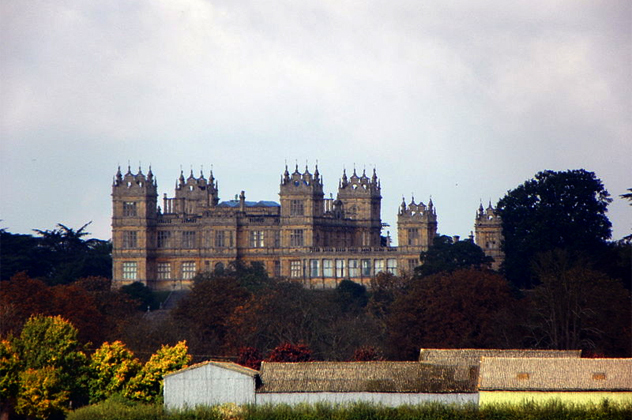 But while Wayne Manor is undoubtedly awesome, its real-life counterpart, Mentmore Towers, has its own fascinating history. The towers were actually created by Joseph Paxton (the creator of the world famous Crystal Palace) for the Baron Mayer de Rothschild. However, it had a much more important purpose during World War II—the British government chose Mentmore specifically to protect many of their national artworks. One of the most important treasures was the Gold State Coach, which has been used at the coronation of every British monarch since George IV. Nearly everyone recognizes the Disney castle; it was first designed as Sleeping Beauty’s castle in the 1959 film, and later became as iconic as Mickey Mouse’s ears. However, not many people know much about the castle it was based on. 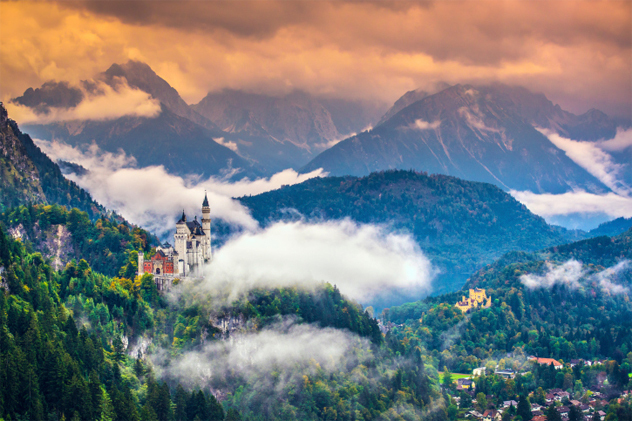 The castle was commissioned by the king of Bavaria not only as a private retreat, but also as an homage to the famous composer Richard Wagner. Unfortunately, the king wasn’t able to enjoy his masterpiece for very long—he died less than a year after it was completed, and Richard Wagner died long before. Today, the castle is a huge tourist attraction with more than 6,000 visitors per day during the summer. If you didn’t cry just a little bit during the Pixar movie Up, you might not have a soul. The story of a man desperate to fulfill the childhood dream that he and his now-deceased wife had of building a home on the mystical Paradise Falls is indeed a beautiful one. 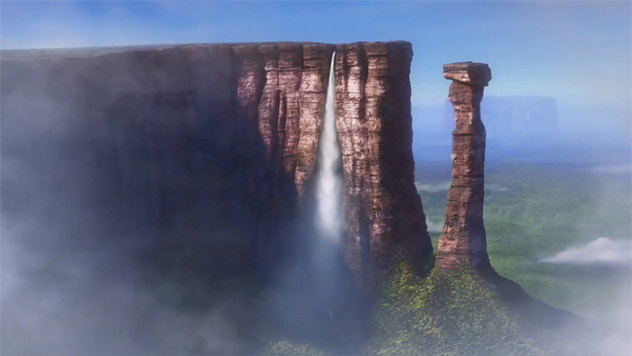 However, the waterfalls that they’re based on are just as breathtaking. Angel Falls is the world’s highest uninterrupted waterfall at over 900 meters (3,000 ft) high. 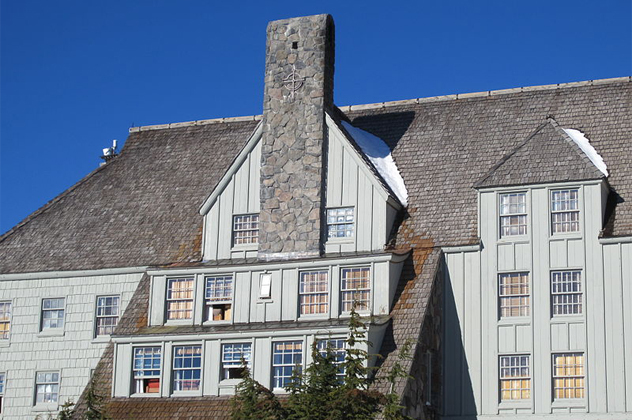 Unless you’re a horror movie lover, the idea of going to the hotel that was used as the exterior for the creepy hotel in The Shining probably doesn’t really appeal to you. The hotel was actually first created as a Works Progress Administration project during the Great Depression, and President Franklin D. Roosevelt actually came out in person to dedicate it. However, despite going through a brief decline caused by financial problems, the hotel is actually quite pleasant and popular nowadays, with plenty of options for skiing, music festivals, and wedding venues. They even have a heated pool, just in case you feel the urge to go swimming on a mountain 1,800 meters (6,000 ft) above sea level. Most Lord of The Rings fans know that the beautiful landscape that is portrayed in the movies was filmed on the island of New Zealand, but many don’t know much about the area itself. 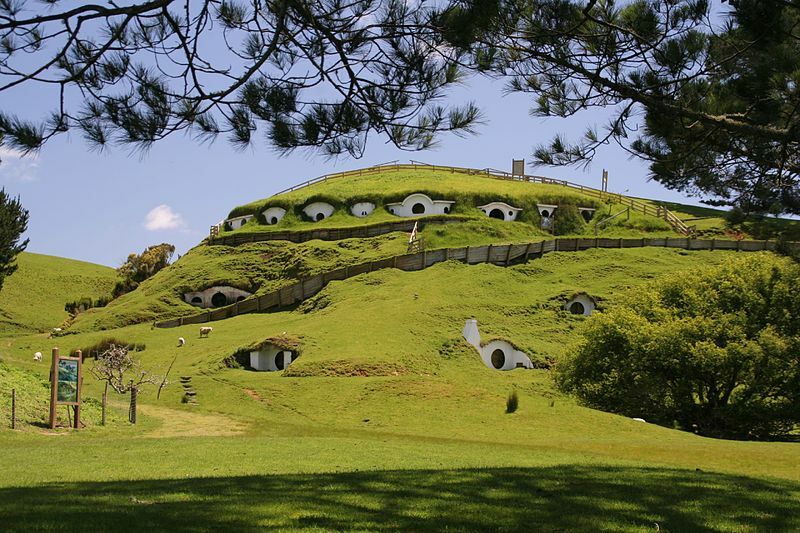 Most of the scenes for the Shire were shot in the town of Matamata, and a nearby farm became the location for the tourist attraction of Hobbiton, though parts of it have been closed for the filming of the three prequels that are based on Tolkien’s first book, The Hobbit. There are several Lord of the Rings sites in this area, including the Green Dragon Inn and 17 actual Hobbit holes (there were originally 37) carved into the hills. The town is also known for its thriving racehorse breeding and racing industry. Even though it had the unfortunate side effect of demonizing sharks and giving people a lifelong fear of beaches, the movie Jaws is remembered as one of the original summer blockbusters. 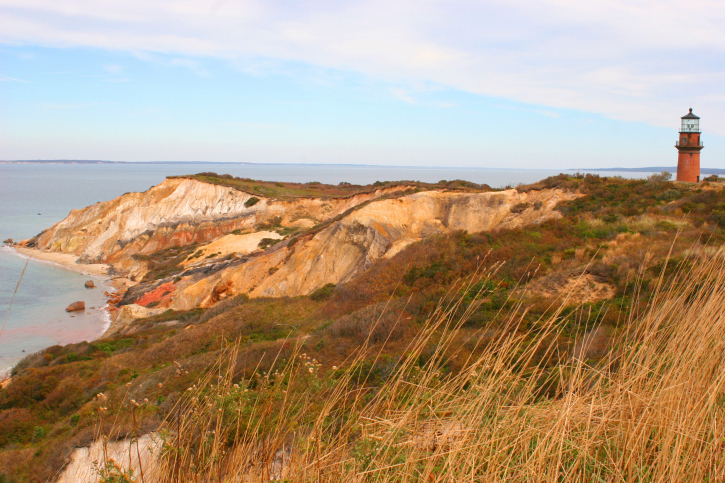 The movie takes place on the fictitious Amity Island, but it was filmed on Martha’s Vineyard, an island off the coast of Massachusetts. The island is not only a summer resort, but also a wildlife refuge that had previously been used as a practice bombing range by the US Navy. Martha’s Vineyard was also one of the first areas in the US to have a deaf community, and there’s actually a unique version of sign language that originated on the island. Recently, tourism has boomed in this area. While sharks have always been drawn to the northeastern coast in search of prey, the population of gray seals has recently bloomed, drawing plenty of real-life great white sharks to the beaches that became famous because of an imaginary killer shark. There’s no denying that District 12, home of Katniss Everdeen (the heroine in the wildly popular Hunger Games series) is designed to be grim and depressing, a place without hope. The producers definitely picked a perfect location to use for it. Henry River Mill Village was once a bustling community filled with people working at the mill in order to produce miles and miles of yarn. This boom lasted for around half a century until, like most small towns based on a failing industry, it finally crashed. 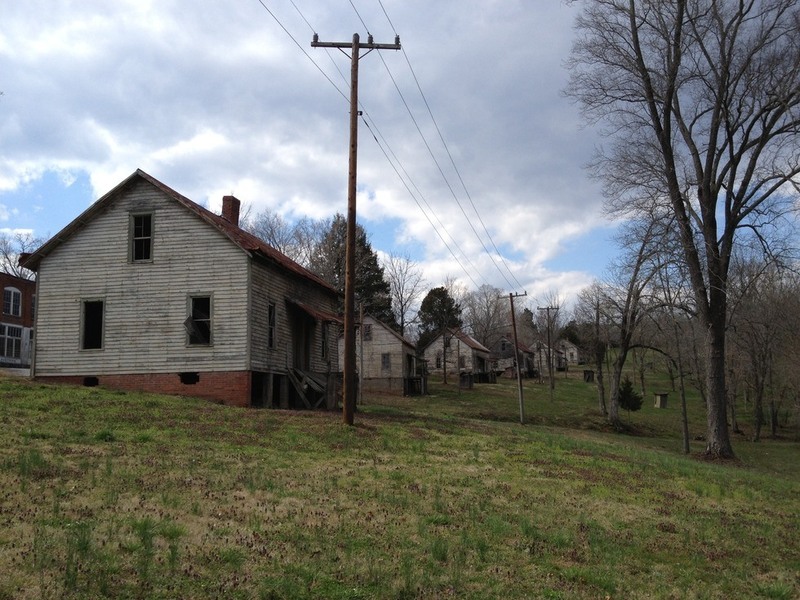 The last person left town in the 1970s, and the little village became a veritable ghost town. Curiously enough, the entire town is owned by one man, Wade Shepherd, who had little interest in his property until the producers for the Hunger Games came calling. Now, he’s trying to sell the entire town—for the meager sum of $14 million. Ashley is a young aspiring author sweating blood over her current novel and trying to earn some extra cash as a poor college student. She worked for her high school newspaper all four years and loves to write about the wacky and weird.